Maxine halted when she saw Samuwel standing in the hallway with hands on hips, looking directly at her. The scowl on his face left no questions about his feelings, “Where have you been all afternoon?” he shouted at Maxine, instantly silencing the cheerful sounds from their kids in the kitchen. “Shopping with the kids, who have picture day tomorrow by the way,” Maxine spat at him. “Why didn’t you check with me first?” he began. Before Samuwel could even finish his sentence, Maxine interrupted, “Oh, now I’m supposed to run everything by you before I do anything? Should I have gotten your permission to go to the store?” The sarcasm left an icy trail over each word and chilled the air around them. “Oh sure, make me the villain. Maybe if you had joined us at church this morning, I would have been able to have a conversation with you. Why didn’t you at least have the decency to call or text me? I didn’t hear from you all day.” Maxine’s voice was becoming louder and shriller as the battle gained momentum. Samuwel’s voice also grew in intensity, “Don’t you think I did? Did you even check your phone? Did somebody forget the turn the ringer back on after church?” Maxine didn’t give him the satisfaction of looking at her phone. She knew the phone had been set to silent all day. She deliberately did not turn the volume up after church because she didn’t want to deal with Samuwel’s nagging. She had genuinely forgotten about their circus plans, but it was just as well because she wasn’t in the mood for jovial clowns and brightly colored entertainment. Arguments in marriage are common, and depending on the tactic employed, can sway your chance of divorce. A 16-year research study at the University of Michigan compared the divorce rate of couples who argued with destructive, constructive or withdrawal tactics. Destructive fighters yelled or shouted, threw insults, called names, brought up the past, or had to have the last word. Constructive behaviors involved calmly listening to the situation, trying to understand what the spouse was feeling, making positive statements, or trying to make the other laugh. Withdrawal behaviors were going away for a while to cool down before talking, or suddenly becoming very quiet and pulling away (emotionally or physically). Couples who demonstrate destructive behaviors when arguing are most likely to divorce. Turns out, HOW you fight with your husband matters. One glance at Maxine and Samuwel’s dispute would tell you their style is destructive. What about you? What’s your dominant behavior? Do you argue in ways that will resolve conflicts? Or destroy your relationship? I confess that my old approach to handling disagreements with my husband was destructive mixed with a dash of withdrawal – the perfect combination for an unhappy marriage… or a terminal one. Fortunately, I learned new ways of handling an argument – ways that strengthen the relationship and each other. This was beneficial for our marriage and our family. Are you curious about experimenting with a new way of relating to your husband? Want to see how incorporating respect into your interactions can orchestrate a powerful change in your marriage? Pick up a copy of The Respect Dare and dive into 40 days of trying new approaches. 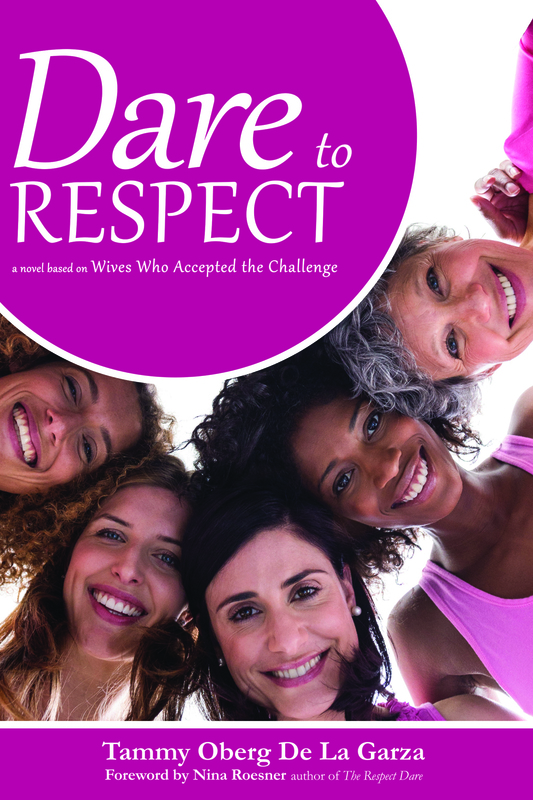 While you’re at it, read DARE TO RESPECT during the process – it will be like you have your own small group of women who struggle with some of the same issues you face. Head over to Nina Roesner’s blog and sign up to follow her journey through each of the 40 dares. The first dare begins on Monday, so order your books today and make a choice that will improve the course of your married life – forever.